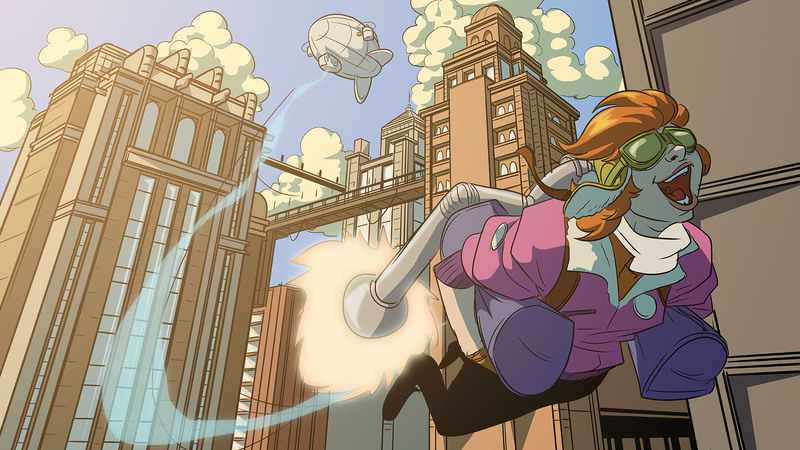 Kickstarter: Jupiter Jet, Teenager with a Jet Pack! I have an exciting Kickstarter for you! 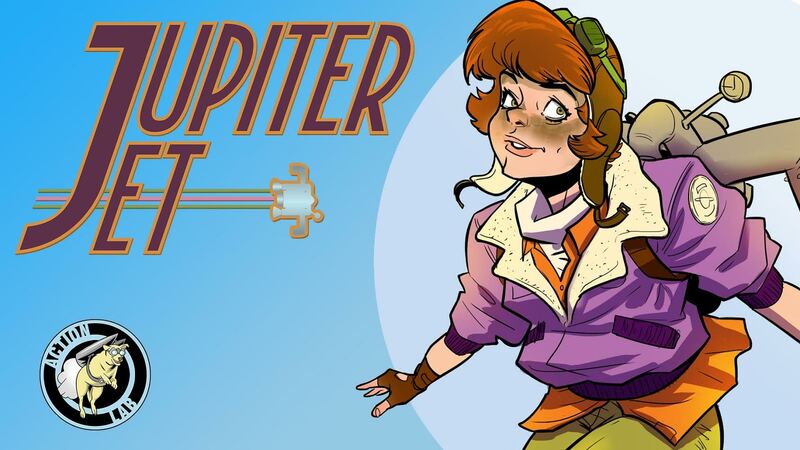 Jupiter Jet is a five issue comic book mini-series brought to you by a married team of writers (Jason Inman and Ashley Victoria Robinson) and accomplished artist Ben Matsuya. You might know Jason from DC All-Access or the Geek History Lesson podcast. He’s also on some bonus features of the Batman v Superman and Suicide Squad BluRays. Ashley is the co-creator (along with her husband) and star of The Red Shirt Diaries, a panelist on Collider Heroes, and the Top Cow Talent Hunt winner turned Head Editor. She also wrote Apollo IX #1 and a story in Witchblade #175. Ben was a finalist in the 2009 Walt Disney Imaginations Competition and has done art for his own Midnight Massacre and on the Criminal Macabre series. He will be providing the line work. Mara Jayne Carpenter (Jade Street Protection Services) is on colors and Ghost Glyph Studio’s Taylor Esposito (Constantine, New Suicide Squad) will letter. Jupiter Jet will be released by Action Lab Comics, first as single issues and eventually as a trade paperback. Jupiter Jet follows the origin story of the eponymous superhero as she must find a way to balance her Robin Hood-esque activities, support the family repair shop and keep her secret identity – Jacky Johnson – out of the hands of the mobsters that are always on their trail…and the mysterious man who controls them all. Other characters include Jacky’s genius little brother Chuck (who can build and repair anything – including the jetpack! ); the mysterious man, Pluto, who is determined to take down “the flying girl;” Uncle Gabriel, who is concerned about Jacky and Chuck in the wake of their father’s death; and Chuck’s best buddy, Tyson. This sounds really fun to me, and the art is excellent! Rewards include digital issues, exclusive postcards, stickers, prints, original art, a cameo, and more. Contribute to the Kickstarter here. Their goal is $15,000. You have thirty days to get in on the action!